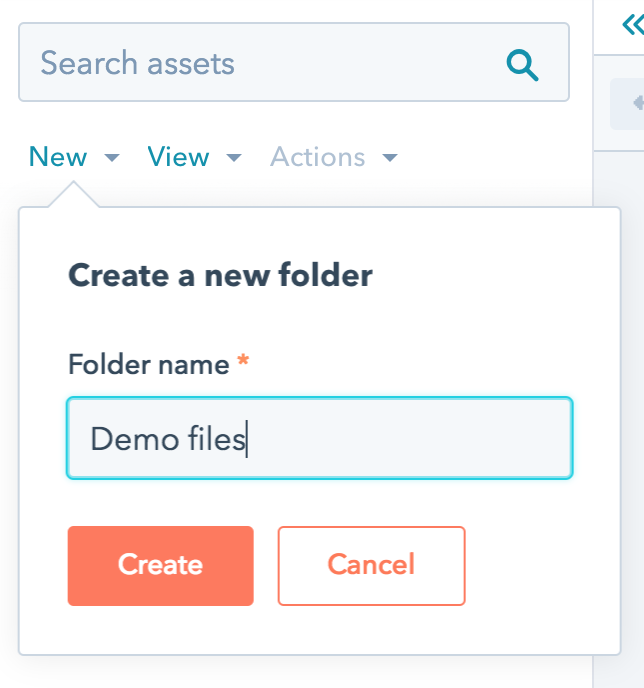 In order to quickly get familiar with the finder, we’ll run through creating the most commonly used asset in the COS: a drag and drop template. To create a new file, click the New button and choose New file from the resulting drop down. In the resulting dialog box, choose Drag and drop. Detailed info on the file types in this dialog box can be found on the reference page. In the next dialog, leave Page selected in the Template type drop down, and enter a name for this template. 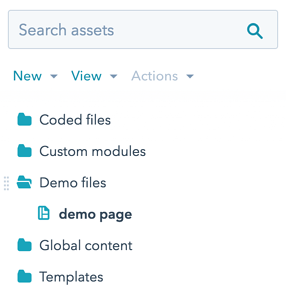 Detailed info on the template types available in this dialog is available in the reference page. 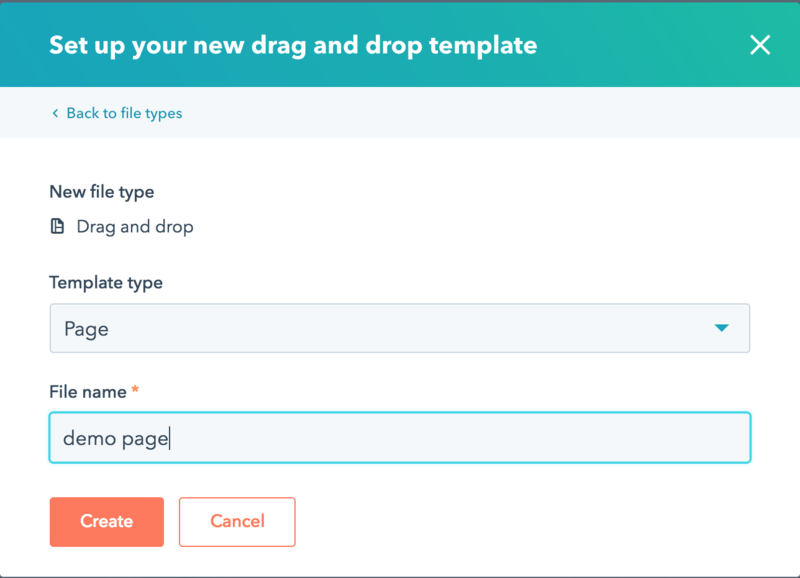 After you click Create, a new drag and drop page template will be created and filed alphabetically in the finder as shown below. 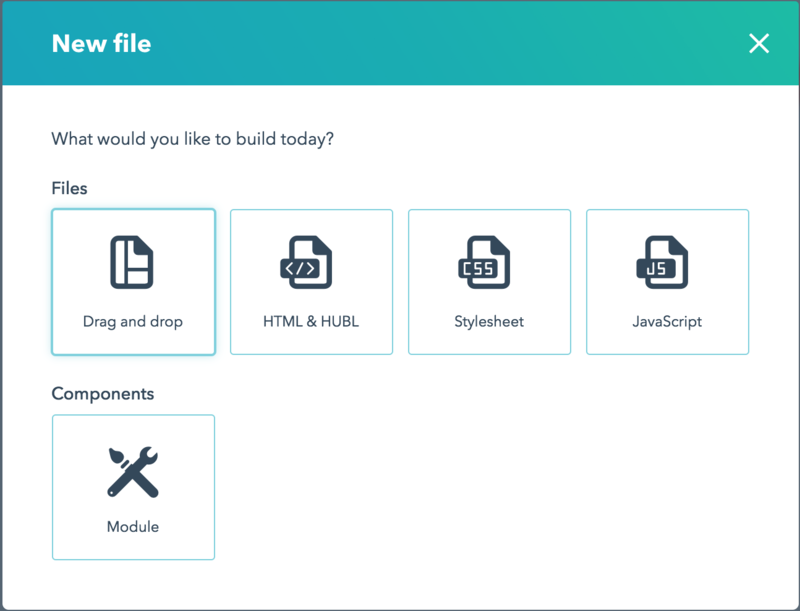 Much like the file system in your computer’s operating system, the design manager allows you to organize your files however you’d like. 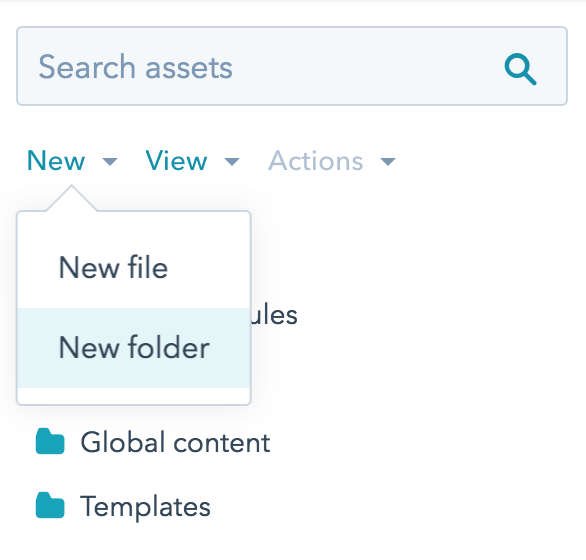 To create a new folder, click the New button and choose New folder from the resulting drop down. In the resulting dialog, enter a name for the new folder. 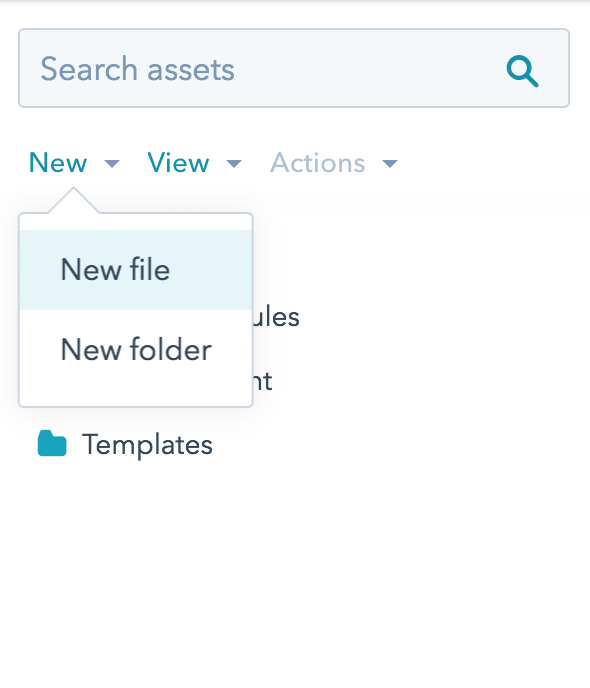 You can also quickly rename files and folders at any time by right clicking on any asset in the finder.